Email show@amherstorchidsociety.org to sign up. Text it. Tweet it. Facebook it. Flyer it. Put the word out. We love to share! Attendance at the annual Orchid Show is the major way the Amherst Orchid Society supports itself. Here are suggestions to tell your friends and family. Share your excitement about your show. Tell them about being able to buy a variety of plants from great vendors. 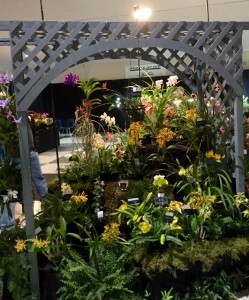 Explain about the gorgeous displays put on by local clubs (the space is jam-packed with displays). They’ll hear wonderful informational speakers. It’s an educational, family-friendly experience. 10:00AM – Meet at the Munson Memorial Library to pick up show supplies. 10:30-11:00AM – Arrive at Smith Voc; set up backdrops and drape tables. Possibly starting to set up club display. Club members only. No plants or individual displays on this day. 9:30AM – Plants can be brought in at this time. 10:00AM – Donated food needs to be brought in around this time. 4:00PM – Cut off for the plants to be brought in. No club member plants allowed after this time. 6:30PM – Vendor’s deadline for plant delivery and setup. 8:00 AM – All clerks need to be here at this time. If for some reason you cannot make it, you MUST let Joe Maciaszek know as he is in charge of the judging/ clerking. Email Joe at judging@amherstorchidsociety.org. 9:00AM – Judging starts, continues until done. Followed by lunch for the judges. 10:00AM – Food for the judge’s lunch to be picked up and delivered by this time or earlier. 8:45AM – Anyone who is signed up for a 9 AM task, please arrive early so you can get to your places and have things explained to you BEFORE we open. 9:45AM – Anyone signed up for a task please arrive early so you can get you to your places and have things explained to you BEFORE we open the doors. 4:00PM – Show closes. We need as many people as possible for the take down at this time. 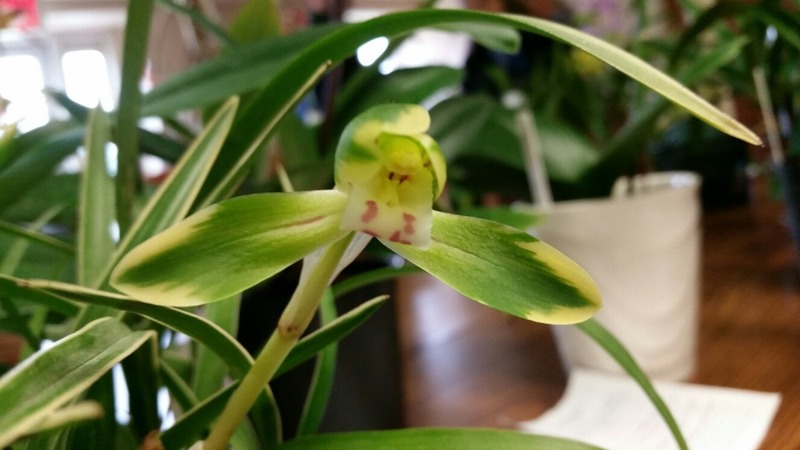 Pre-registered orchids will have plant tags waiting for them on Thursday with no wait time. Pre-register all of the plants that you might end up bringing. It’s easy to delete tags if you decide not to bring a plant. You can still add plants that aren’t pre-registered, but it will take longer. Send your files between Monday and Wednesday. Using the digital forms is the fastest and most accurate way to pre-register your plants. If you are using the paper forms, please type them. House plants to be filler or accents (in good condition but not in flower). Cut greenery – evergreen branches, ivy, or the like to dress edges of the display. Drop-offs can be on Wednesday between 10AM – 4 PM at Smith Vocational School in Northampton, or Thursday, between 9 AM to 2 PM. Any items which the donor wants back should be clearly marked with a name and should be claimed at clean-up on Sunday.